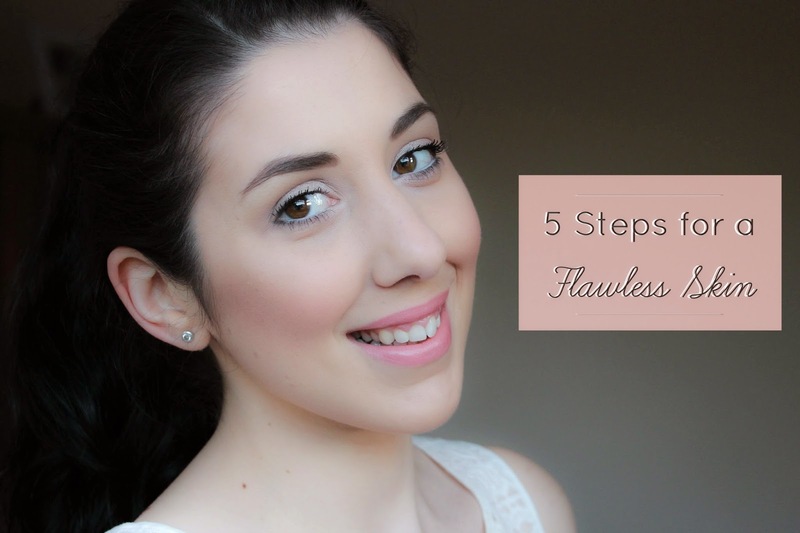 Finding out the perfect routine for an healthy, glowing and flawless skin as been my goal for a long time. As sometimes, as much as I read and follow some tips and tricks, nothing seemed to work for me. But now I found out what works for me and I am happy to share it with you. It might not work for you as many other tips did not work for me but it is worth giving it a try! I have said this before when I posted about my Night Time Skin Care Routine but I will say it again: having your own routine, something that really works for you and makes your skin feel healthy and refreshed, does really make a difference. I have been doing this for the last month or so and I can really notice the improvement. This routine should include exfoliating once or twice a week! 2nd Step: Wash your face & Drink Water! I know this may seem very obvious, who doesn’t wash their face in the morning after waking up? But anyways, I decided to mention because even thought it is a basic step, it is so important! Wash your face with your favourite foaming cleanser. Mine is this one from Korres. Also, drink plenty of water. This is something that I am trying to improve as well. I don’t drink as much as I should but when I do, it is noticeable. Simple steps that make a huge difference! I never gave too much importance to priming my face. I was always to lazy for it and I didn’t see the point. Also, I gave it a try once with a Make Up Revolution Primer and it went really bad so I was about to give up. Then, I thought I should give the Primers World another chance and that was when I decided to buy the Maybelline Baby Skin Pore Eraser Clear . If you read my Night Time Skin Care Routine, you know that I was only applying this product at night before my moisturizer and I still do. The only difference is that now I also apply in the morning before applying my make up. What you have to do is apply a small amount as with this a little goes a long way. I thought that to prime my face I had to apply a lot of it but that only makes it worse. Now, I only apply in the areas that I need and it does wonders! So, find the right primer that works for you and you will be one step ahead for a flawless skin. You may have noticed that I skipped one step that most people do: moisturize. This is because I normally get ready in a rush and also, I don’t feel like I need it. The foaming cleanser I use to wash my face and the primer are enough to prep my skin so the following step is apply foundation. With this one, I follow the same as I said above: a little goes a long way. Don’t think that by applying a massive amount of foundation at once will help – it won’t. I have tried it my self so I know what I am talking about. Apply just enough to give you a natural, silk finish and blend it really well into your skin. Take your time, it will be worth it. My favourite foundation at the moment (and it has been for the last three or four months) is the L’Oreal Infallible 24H Foundation. It has medium to full coverage and it is buildable. Also, in my opinion, it is really light wait. You barely notice that you have something on your face! I always, always powder my face to set my foundation and apply blush and a bit of highlight. Nothing to heavy for a daily basis but enough to give me a nice and healthy glow. And this is the last step! Apply your favourite products and enjoy your healthy, glowing, natural and flawless look. The only product that I would advise here because I am loving it this past month in the Blush Palette by Make Up Revolution in the shade Sugar and Spice. My favourite bit in this palette is the highlighters, specially the top one. It is stunning and if you apply the right amount, you will look amazing and still see your cheeks glowing from the moon! And this is it my loves. I know that it might seem like a lot of products to get a flawless natural looking skin but believe me – if you stick to the motto “A little goes a long way” you will see that I am right. I have proven that to myself!